Hotel Indigo's Ocean View Bar & Grill serves authentic local favorites, creative appetizers, sharable plates, and signature cocktails. 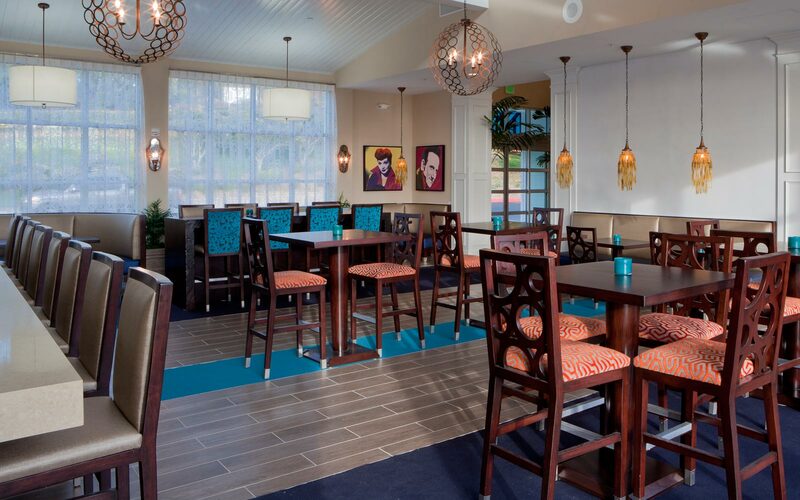 Along with its enticing menu, guests enjoy ocean views and contemporary décor. The grill also features live local music on Thursdays, Fridays, and Saturdays. Bring your furry friend and enjoy al fresco dining by the fire pit, or belly up to the bar for one of our signature cocktails. Monday 4:30-6pm: $4 Bud Light, Budweiser, Coors Light, $5 draft Stella Artois, $6 house wine and wells, $7 specialty cocktails. Tuesday 4:30-6pm: $4 Bud Light, Budweiser, Coors Light, $5 draft Stella Artois, $6 house wine and wells, $7 specialty cocktails. Wednesday 4:30-6pm: $4 Bud Light, Budweiser, Coors Light, $5 draft Stella Artois, $6 house wine and wells, $7 specialty cocktails. Thursday 4:30-6pm: $4 Bud Light, Budweiser, Coors Light, $5 draft Stella Artois, $6 house wine and wells, $7 specialty cocktails. Friday 4:30-6pm: $4 Bud Light, Budweiser, Coors Light, $5 draft Stella Artois, $6 house wine and wells, $7 specialty cocktails.